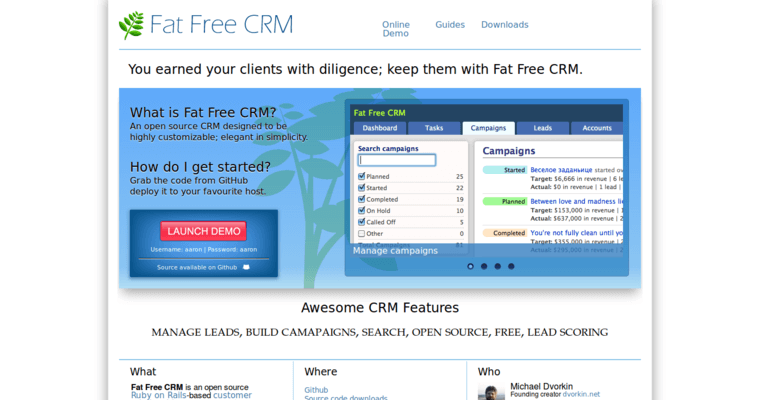 Fat Free CRM creates software that is open source, highly customizable and elegant in its simplicity. CRM is short for customer relationship management. This software lets you track sales, track leads and keep a record of your customer interactions. This software can be configured for any business size or type. It's also easy to change as your business grows and your needs change. Out of the box you can use this software for group work, collaboration, contact lists, customer-service history and lead tracking. But keep in mind that the software is open source and customizable. The possibilities are really almost endless. With CRM software, you can make sure you never miss a potential sale again. Your customers will be happier as service becomes faster, more accurate and more efficient. You can use it to get your entire sales staff in sync, as well. 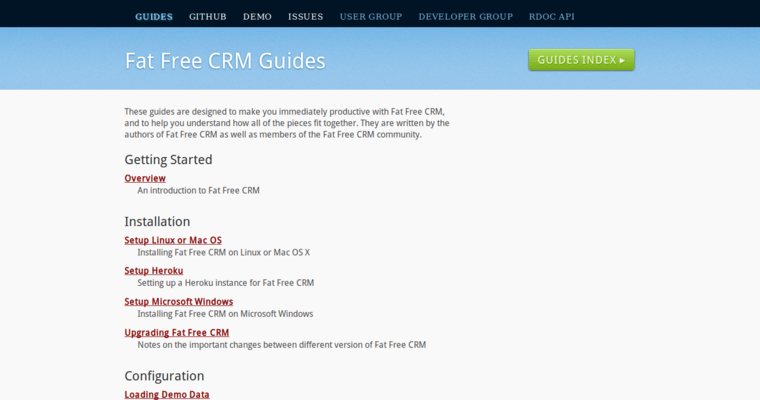 Fat Free CRM has solutions for any company.